Nik grew up surrounded by the San Juans of SW Colorado and has always been drawn to the wild places of the world. He came to the realization that he wanted to become a guide after his first Colorado 14’er ascent and hasn’t really looked back. Nik began leading summit trips for the CU Hiking Club in Boulder, CO and later as a camp counselor outside of Colorado Springs. 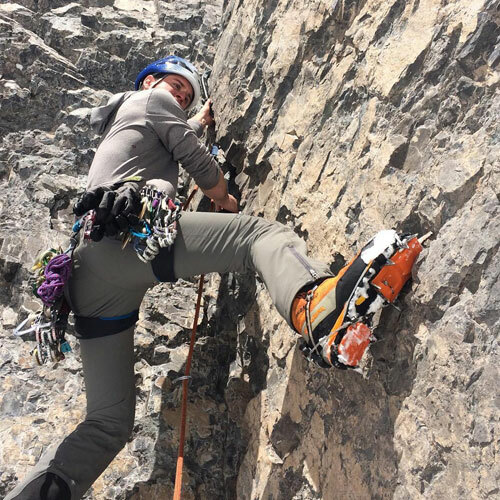 Nik has climbed extensively throughout the southwestern United States and finds himself completely at home high on an alpine wall, clinging to a frozen waterfall or soaking up the sun on a desert tower. He’s also climbed in Ecuador, Chile, Peru and Alaska. Nik began training with the AMGA fall 2013 and plans to continue pursuing accreditation.